Sparkling clean and bright 2 bedroom and 2 bath condo in the La Canada Village complex of San Luis Obispo. 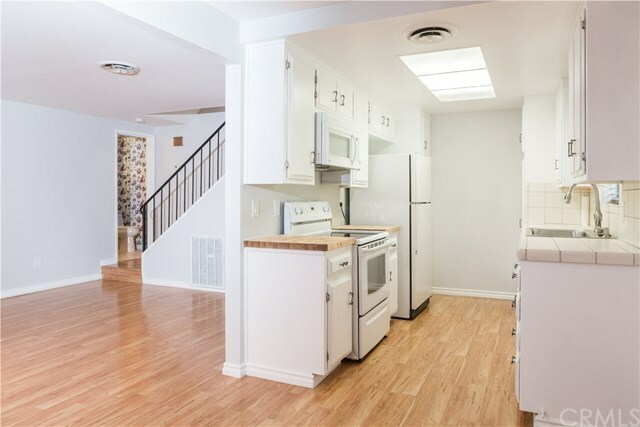 Updated with new paint, flooring, new bath and kitchen amenities too! The large courtyard is inviting and private and there is a spacious outdoor storage closet, carport parking and additional parking space. The complex is well maintained and the monthly HOA fee includes exterior and common area maintenance, beautiful pool and lawn common areas, water, sewer and trash. A community washer and dryer is conveniently located and shared by 4 units. Great location, close to Laguna Middle School, hiking and walking trails, shopping and a city bus stop.